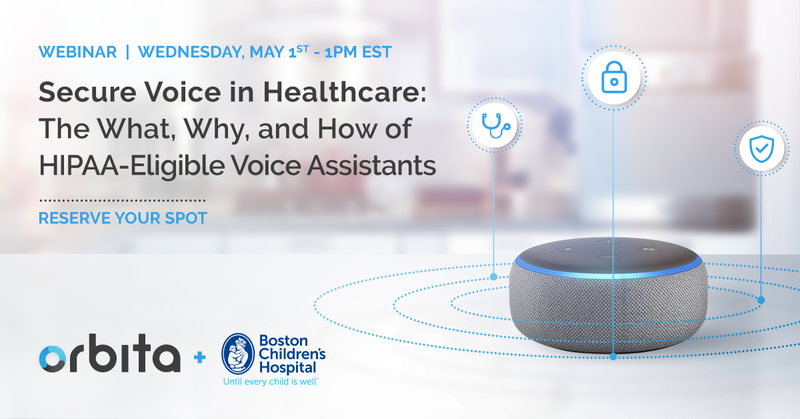 The promising role of voice in healthcare took center stage just one week ago at the Boston Seaport World Trade Center thanks to Boston Children’s Hospital (BCH.) Visionary professionals from the BCH Innovation and Digital Health Accelerator planned and hosted an exceptional event, bringing together esteemed experts, entrepreneurs, and engineers – all focused on pioneering voice transformation in healthcare. Offered as a co-located event of the 2018 Connected Health Conference, the one-day Voice.Health Summit drew more than 300 attendees. And who other than to serve as the day’s emcee but Susan Bennett, the original voice of Siri? Representing a diverse and motivated group of individuals, presenters explored clinical pain points and compliance barriers while also sharing key learnings from today’s real-world implementations and ruminating on future possibilities. 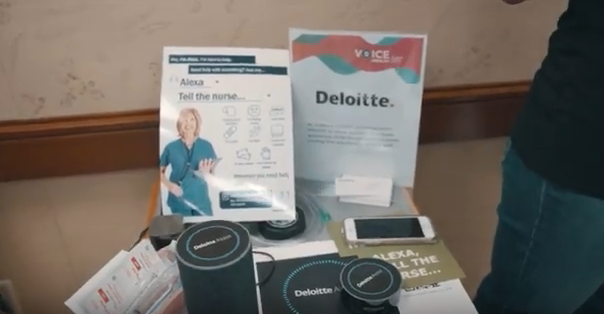 Orbita proudly sponsored the inaugural Voice.Health Summit with our own president Nathan Treloar serving on the “Voice Tech for Consumers” panel moderated by Emily Roberts, Amazon Alexa’s senior manager of global partner marketing. Treloar, his co-panelists and other presenters throughout the day shared this key takeaway: 2018 has been the year of voice tech pilots. Most agreed that consumers thus far have used voice technology dominantly to access healthcare information. Early success stories, they say, are the KidsMD Alexa Skill from Boston Children’s and the Mayo Clinic First Aid skill. 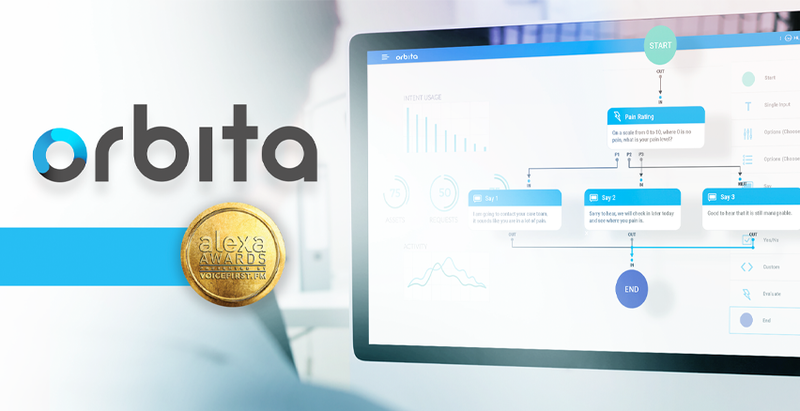 Built on the Orbita platform, Mayo’s skill provides voice-driven, self-care instructions for dozens of everyday mishaps and other situations while offering quick answers from the most trusted sources in health care. Karin Beckstrom, senior manager of ERT Innovation Lab, discussed how patients can benefit from using voice technology instead of traditional, manual methods to complete daily assessment surveys, report vital statistic measurements, ask questions, receive training and report health concerns. Pharmaceutical companies are finding voice as a powerful asset to keep patients engaged, enrolled and compliant with clinical trials. This, in turn can help accelerate product development and get new therapies to the patients more quickly. Watch a webinar on this topic. Laura Schuntermann, Cigna’s global head of digital strategy and partnerships, highlighted Answers by Cigna. Launched earlier this year, the skill is designed to demystify language about health care by providing instant and easy-to-understand answers to more than 150 commonly-asked health benefits questions. Many payors are exploring the use of conversational experiences to enhance member engagement and improve care management. Watch a webinar on this topic. Midday found attendees hearing about highlights from the prior day’s Voice Hackathon exclusively sponsored by Amazon Alexa and orchestrated by the team at Hacking Pediatrics, a self-proclaimed group of geeks with the passion to hack the status quo in pediatric healthcare. For the hackathon, the BCH innovation and Hacking Pediatrics teams curated nearly 100 use cases from clinical and non-clinical professionals across the Boston Children’s ecosystem. Nine were chosen to participate in the Hack. We extend thanks for allowing three of the nine teams with developers from Orbita. Each team was given five hours to hack – creating both a skill and a video to showcase the skill they developed. A panel of judges selected the top three. We’re thrilled to share that all teams including Orbita developers secured the top three spots. Watch for a blog video roundup of the Hackathon to publish soon. You’ll be able to see the tangible results from just five hours of solid teamwork. Another of the day’s key highlights was certainly the Voice-First Patient Journey Experience. For this immersive exhibit, The Boston Children’s team transformed five rooms into different settings -- ranging from an inpatient room to a consumer's home. Each featured five or more voice solutions that a patient or clinician might find in that environment, live and ready for interactive demo. We extend appreciation to the Brigham and Women’s Innovation Hub for making a voice-powered wayfinding application available to answer questions about the Voice.Health Summit and help guide attendees to appropriate locations during the event. The app is based on a voice-based wayfinder now being developed for one of the organization’s sites. Thanks also to Samir Tulebaev, MD, from Brigham and Women’s. He joined Orbita staff introduced “BRIGGIE,” a concept demonstration showing how a simple, plush “toy” equipped with an integrated voice assistant can enhance post-operative pain management and improve efficiency and effectiveness of regular pain assessment safety rounds. 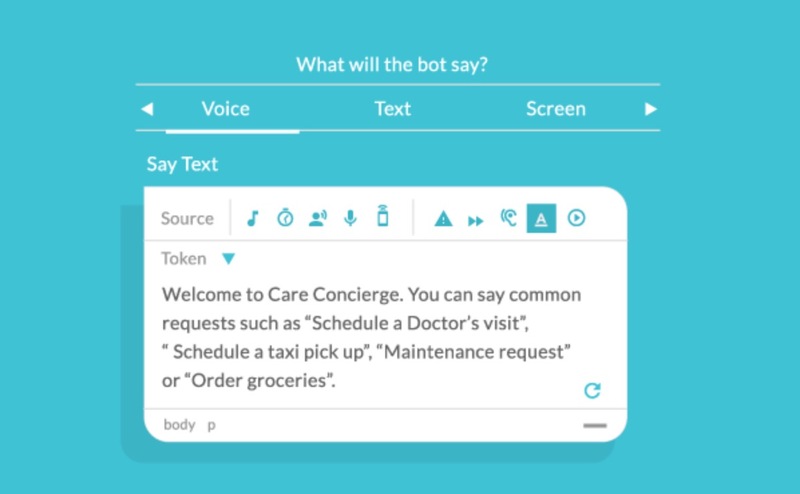 BRIGGIE is an exciting example of an increase in voice pilots that expand beyond information sharing and also leverage voice engagement to enhance clinical workflow. On Friday, two days after the Voice.Health event (live in the Connected Health press room,) Orbita’s Treloar joined with Nick Dougherty, managing director of MassChallenge HealthTech, to announce that Orbita and team members from Brigham and Women’s Hospital Digital Innovation Hub will work together to explore and advance the use of voice-enabled and conversational AI solutions in health care. We look forward to collaborating on innovation around voice assistants, chatbots, and other conversational user interfaces to improve patient engagement, remote care, clinical efficiency and business processes. The collaboration began through MassChallenge HealthTech (formerly Pulse@MassChallenge,) aMassachusetts-based accelerator that matches digital health companies with industry partners to address massive challenges in health. Finally, kudos to John Brownstein, MD, BCH chief innovation officer and Harvard Medical School professor (whose voice you hear while watching this video,) and to his entire team (especially) Sarah Lindenhauer and Elizabeth Kidder) for a job exceptionally well done! We look forward to next year.